Yes on I-1639 campaign manager Stephen Paolini speaks at an event Saturday for the initiative's Spokane campaign volunteers. Supporters of an initiataive for stricter gun laws brought their campaign to Spokane Saturday. Initiative 1639 is the third gun control measure sponsored by the Washington non-profit Alliance for Gun Responsibility. If it passes in November, it would raise the age to purchase semi-automatic rifles to 21 and require enhanced background checks and firearm safety training. Gun owners would also be held accounatable for improper firearm storage. The Alliance sponsored successful initiatives for expanded background checks in 2014 and extreme risk protection orders in 2016. 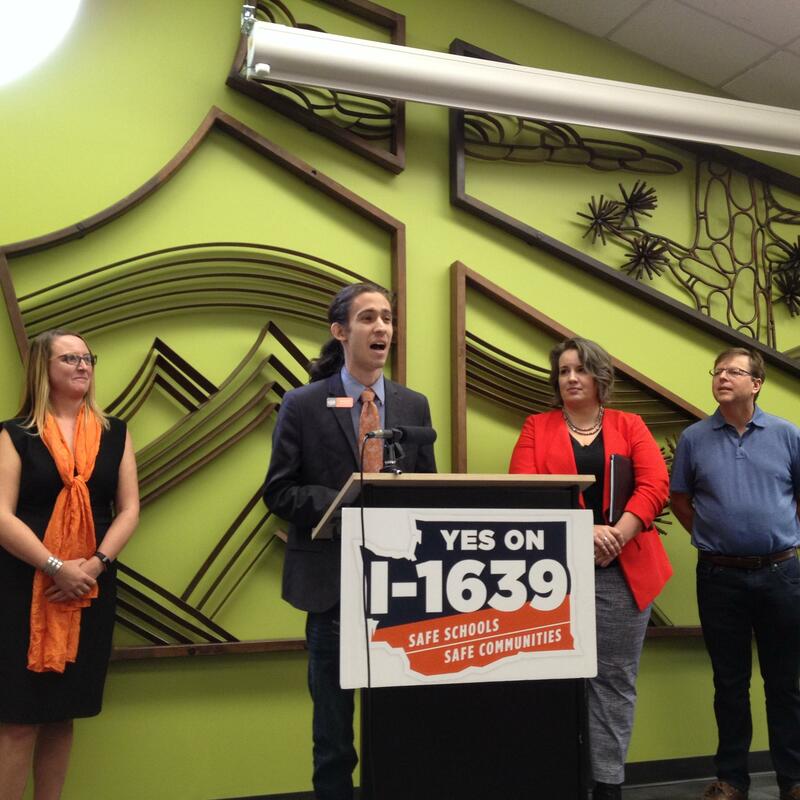 Yes on I-1639 campaign manager Stephen Paolini says the measure is based on gun legislation that has been effective in other states. He says Washington legislators have considered some of these, but haven't yet approved them. "The legislature had a chance to vote on it; they didn't," Paolini said. "That's what's actually amazing about the initiative process. We can take it into our own hands and, you know what, we can take an up or down vote." The Yes on 1639 campaign finished its statewide tour in Sequim today [Monday].